What Does the Democratic Party Actually Believe? Does the Democratic party’s soul lie with Hilliary Clinton, moderation and Wall Street—or somewhere else? Now economic adversities have blown away the Clinton legacy, which is rightly blamed for much of what happened to middle-class wage earners. New voices like senators Elizabeth Warren and Sherod Brown are demanding a new new politics—big governing reforms that really do put people first. The old New Dems are stuck with their moderation and obsolete economic doctrine that is utterly irrelevant amid the nation’s depressed circumstances. Sooner or later I expect politics will change, because the injuries and adversities will not go away in the absence of stronger government interventions. For now, however, the Clintonites are the Democratic Party, having deliberately excluded liberal thinkers and activists from the ranks of government policymakers for two decades. Economic experts recruited by the Obama administration are more likely to have been trained at Goldman Sachs or Citigroup. They do not personally share the public’s anger. So here is the unspoken subtext for 2016 and beyond: What does the Democratic Party actually believe? Democrats argue among themselves, but try not to provoke fratricidal accusations. The question is sufficiently hot that it is no longer a subterranean discussion. The Washington Post and The New York Times are chewing on it too. A recent Post article warned Democrats to lay off the “inequality” talk for fear of sounding like “class warfare.” Well, yes, it is. As billionaire Warren Buffett remarked, the class warfare has been underway for some years . “Our side won,” he said. The New York Times produced a tougher piece on the Dems’ intramural debate. It described in disturbing detail how closely Hillary has relied on the financial constituency. “As Wall St. Faces Scorn, It Warms to Clinton,” the headline said. She was, after all, a senator from New York. And when she ran for president and lost in 2008, organized labor was enthusiastically on her side. 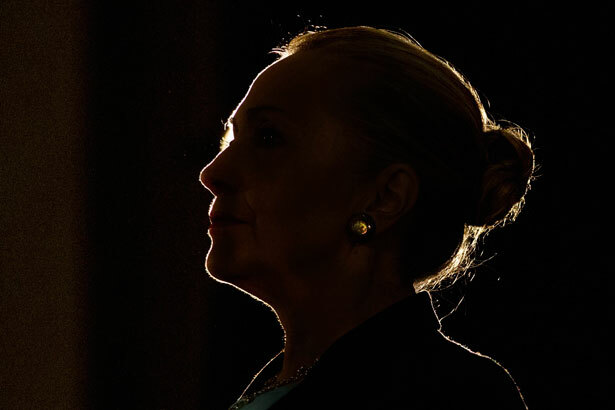 Still, Hillary Clinton is dangerously out of step with the new zeitgeist. If she already has the 2016 nomination locked up, as her campaign gremlins keep telling us, it’s hard to imagine she would desert the finance-friendly politics that supported her rise to power. The Hillary question has many corners to it. On one hand, it could achieve the epic breakthrough of electing a woman. On the other hand, it might postpone the restoration of progressive economic polices for another four years. For that reason and some others, Clinton could run and lose the election. Still, many Dems see her as as the best prepared candidate and the best compromise among contending party factions. Dems do realize the need to hold onto the White House and Supreme Court appointments in order to derail the Roberts Court’s attack-happy right-wingers. Or, who knows, maybe she will decide not to run. In other words, this dilemma will not be resolved by one election, or maybe several elections, because it is larger than individual candidates and their personal qualities. Nor is it limited to Democrats (witness the nervous breakdown of the Republican Party). We are really looking at the capture of representative democracy deformed by the deadly embrace of capitalism. Only the people themselves can dig themselves out of this trap. My personal hunch is that Democratic office holders will not find the courage to embrace the future and the reform vision that some of their colleagues are advocating until their party feels threatened by its own constituencies. That is, the Dems need to experience more of the surprise rebellions that took down some old bulls in the GOP. If the people cannot get either major party to lead the way, maybe they will need to create a new party that will.